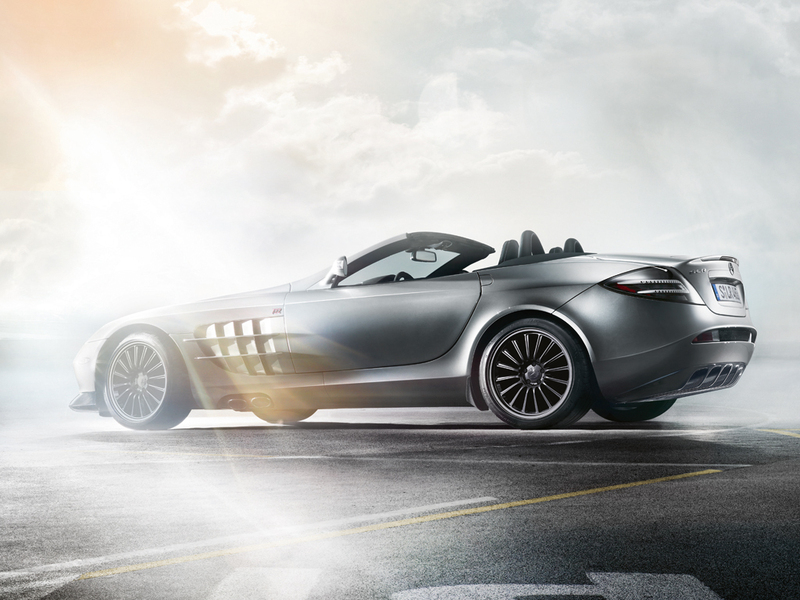 The 722s – the very sporty version of the SLR Roadster still didn´t exist. 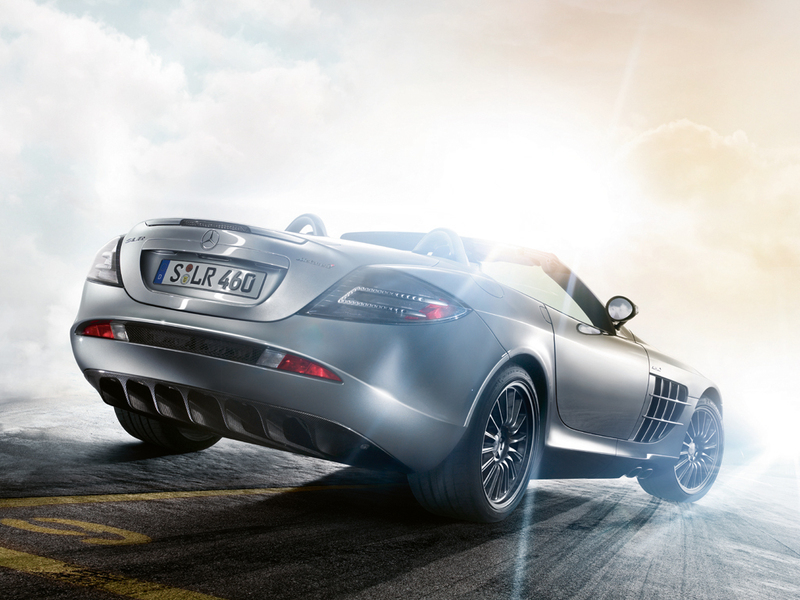 So we had to compose it out of two different cars (plus some CGI). The race track to highlighte the power of this car was shot somewhere close to London. 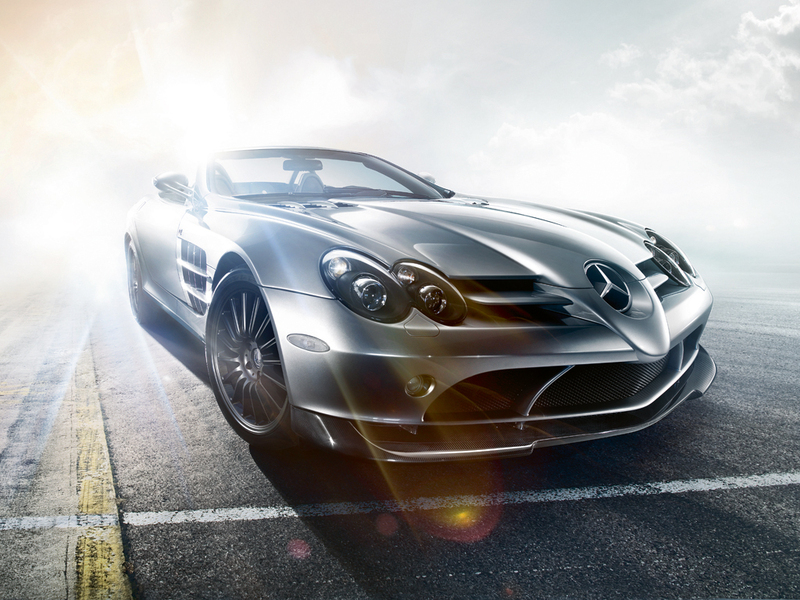 We chose to give the SLR 722S some extreme perspectives and powerful lighting.